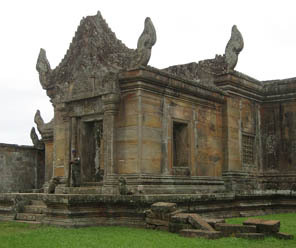 15-day Cambodia Tour. A Spiritual Journey to Visit Angkor Wat & Sacred Sites. Join us to explore this colorful, exotic and deeply spiritual country in south-east Asia. This exciting cultural tour will introduce you to a multitude of people of different faiths & beliefs. 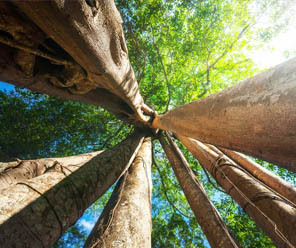 Connect to other seekers on a meditative journey of nature, culture and awakening. 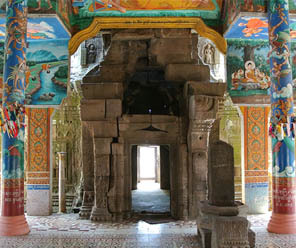 Our special journey in Cambodia is a real treasure trove of unique experiences. You’ll get to explore ancient temples, visit holy mountains and meet people from a variety of faiths and spiritual beliefs. You’ll meet environmental activist monks and stay in the homes of indigenous people who practice Animism. 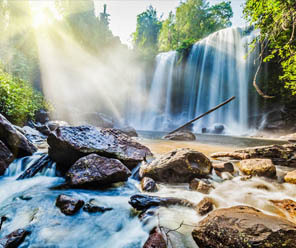 We’ll visit many sacred sites including the ancient temples of Angkor, the holy site of Phnom Kulen which is a spiritual mountain for Hindus and Buddhists, the hilltop temple of Preah Vihear and a sacred lake. 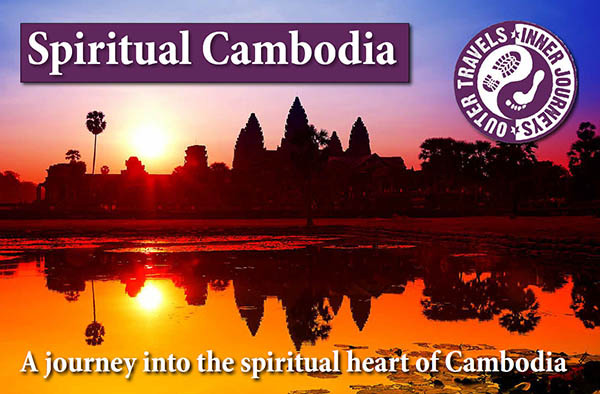 Cambodia is a vibrant country of many faiths and cultures that peacefully co-exist. We’ll get to meet and learn about Buddhists, Hindus, indigenous animists and Chams, who practice Islam but have roots in Hinduism. We’ll practice meditation along the way with our Buddhist guide. On day 12 we’ll also take a trip to the holy mountain of Oudong and meet a group of inspiring nuns with whom we’ll participate in a Vipassana meditation. Your award-winning tour guide was a buddhist monk for 17 years before embarking on a career in tourism. He brings with him a wealth of knowledge on Cambodian history, culture, and Buddhist philosophy. 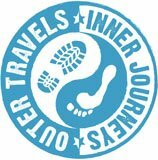 Share with like-hearted fellow travellers, exploring the inner & outer worlds. This is a gathering of fun, enthusiastic, nature-loving, spiritually aware travellers & down to earth mystics. Relax and enjoy, we take care of everything with love and professionalism – all activities, spiritual practices, transportation and accommodation are arranged for you. You can let go during these 15 days. understanding the breadth of faiths and superstitions that exist. Starting in the city of Angkor you’ll explore Hindu temples, meet indigenous groups in the wild north, live with an Animist family on an island on the Mekong, meet Cambodia’s minority Muslim communities, spend time with Buddhist nuns on a hilltop, and conclude in the capital. 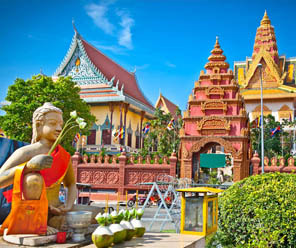 In Siem Reap you’ll be introduced to all things Khmer and explore Siem Reap’s multi-cultural multi-faith community. 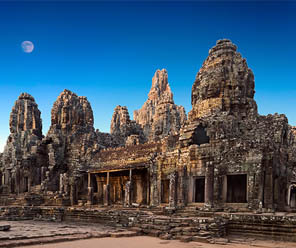 After watching sunrise, we’ll spend the day exploring the Angkorian temples, including famous sites such as Ta Phrom, Bayon, and of course Angkor Wat. 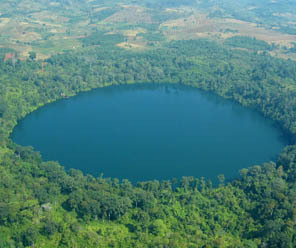 We will visit the holy site of Phnom Kulen, a sacred spiritual mountain for Hindus and Buddhists. We will also see a beautiful collection of waterfalls. We’ll journey North to a forest location well and truly off the beaten path.Here, amongst the trees, we’ll meet a group of inspirational monks using Buddhism for social activism and development. This morning we’ll drive to the top of a 500m-cliff face in the picturesque Dangrek Mountains to the hilltop Hindu temple of Preah Vihear. Today we’ll learn about this region’s several indigenous groups, be introduced to their beliefs, and gain some insight into their life and challenges in Cambodia today. 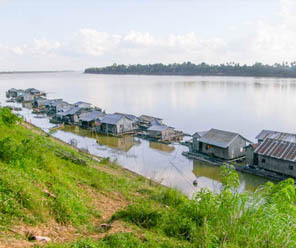 We head to the mighty Mekong River. We’ll visit the riverside town of Kratie. Then we cross to a rural island where we’ll stay in an authentic village home with a host family. Here, islanders still practice Animism. 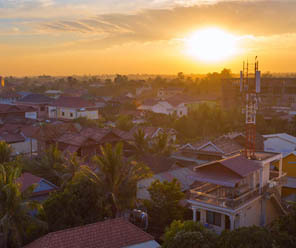 Kampong Cham is well known for its Cham population, a Cambodian ethnic group whose history has molded their interesting religious practices. Most Chams practice Islam, but they have roots in Hinduism. Finally, we’ll travel to the capital, Phnom Penh. Once dubbed the Paris of the East, Phnom Penh suffered greatly for many years through war, but now is well and truly making a come back. 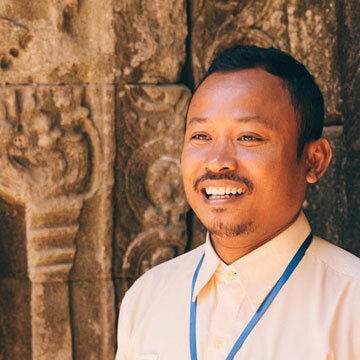 Yut is an award-winning tour guide and brings with him a wealth of knowledge on Cambodian history, culture, and Buddhist philosophy. 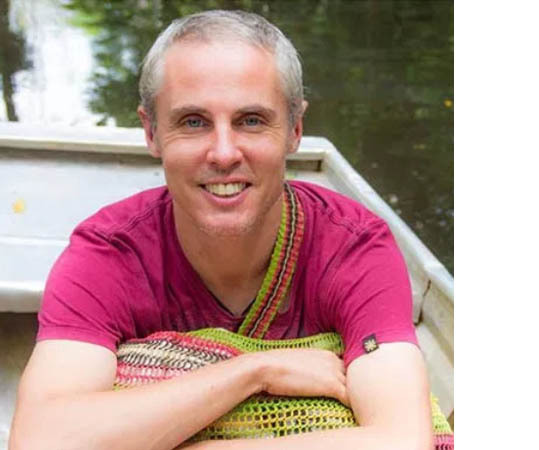 Having been a Buddhist monk for 17 years before embarking on a career in tourism, he is also a specialist on Cambodian religion and spirituality. Andy has been a spiritual explorer and truth seeker since he was 19 years old when he discovered Carlos Castaneda and The Celestine Prophecy. He is the founder of Outer Travels Inner Journeys & the Gaia Tree Healing Center and has been living in Peru since 2009. He’s excited to be leading his first tour outside of Peru. Are you ready to pack for the Cambodia? Download our full-colour brochure – includes full itinerary.